I had a friend ask me about Hugh Masekela after seeing his name trending. I didn’t know where to begin, so I said, “If Bob Marley lived and continued his social activism he would be the Hugh Masekela of the Western Hemisphere.” This wasn’t an attempt to elevate “Bra” Masekela or diminish the legacy of Bob Marley. The two had great respect for each other; Masekela performed on some of Bob Marley and the Wailers early songs. But that’s how important Hugh was to South African Jazz and the spirit to fight apartheid in South Africa. Masekela died a legend. He used his trumpet and love for South Africa to give a voice to a silenced people. His first break in music was as a member of the Jazz Epistles: South Africa’s first jazz band. At a time when artists of all stripes were having their work curtailed by the government, the Jazz Epistles risked their freedom to perform shows off the beaten path. In 1960, the South African government banned large gatherings of Black Africans and instituted the segregation policy known as Pass Laws. The pass laws severely limited travel for Black Africans. Tensions were so high that a planned protest in the Sharpesville township against the law ended in what is now known as the Sharpesville Massacre. 69 unarmed people were killed and hundreds injured when the police opened fire on the crowd. Masekela left his home country and wouldn’t return for 30 years. After pursuing his education in London and Manhattan, Masekela returned to the studio and started making music. He played across multiple genres. His discography includes over 50 albums, almost 300 guest appearances and records with the likes of Herb Alpert, Paul Simon, Joan Baez, Bob Marley, Bob Dylan, Vusi Mahlasela and many more. In 1986, he released “Bring Him Back Home” a song calling for the release of Nelson Mandela. Hugh Masekela weaponized his gift. Even though much of his musical catalog was banned at the height of apartheid, his message found the people who inspired it. Music wasn’t just the vehicle that transported him across the globe, it was his way of fighting racism. If you listen to his music you can almost hear the love spilling out of his trumpet. During his life he partnered with anyone fighting racism and oppression. He learned from those who came before him and made sure to teach the generations that would follow. 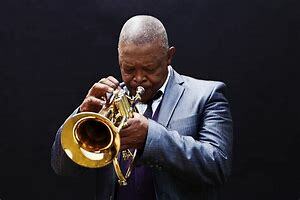 South African President Jacob Zuma said, “Masekela's death was an immeasurable loss to the music industry and to the country at large… His contribution to the struggle for liberation will never be forgotten." The legacy of Jazz in South Africa isn’t much different than the legacy it has in America. The ruling classes in both countries thought the art form was crude and corrupting. There were musicians and scholars who couldn’t find the value in this new genre. At a time when elites in both countries were still fetishizing classical music created in Europe, people suffering the soul killing effects of racism sought another way to reflect their pain and inspire a sense of pride. Bra Masekela was more than a musician. He coupled his gifts with real world activism. He left the world more than he took. His life and music are worth studying and learning from.